They have everything going for their brand identity. Clean, clear type and colours. A bold message. A modern feel. 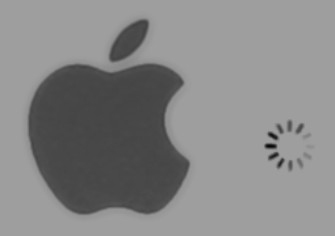 Shame that the first thing I associate with their logo is not anything to do with food and transport / logistics – it’s simply the feeling of frustration and losing time watching the famous Apple pin wheel rotate on my screen. What is a shame is that exactly this association of waiting is less than appropriate with a delivery company of any type. Looks familiar? What a shame about the implied association which seems to be a bit ‘off brand’ message! Apart from that… I like!